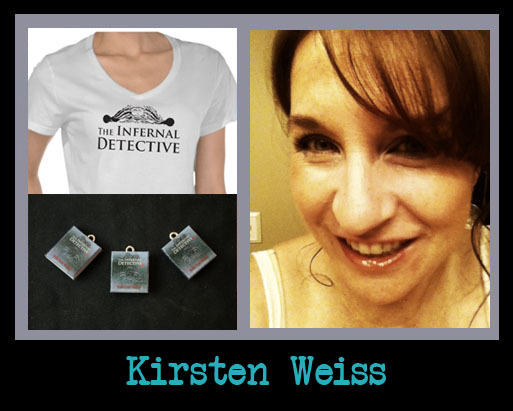 Welcome to the Nerd TRAILER Blast for THE INFERNAL DETECTIVE by Kirsten Weiss hosted by Book Nerd Tours! THE INFERNAL DETECTIVE, the fourth book in the Riga Hayworth series, published by misterio press, will be available on Amazon May 21, 2013. 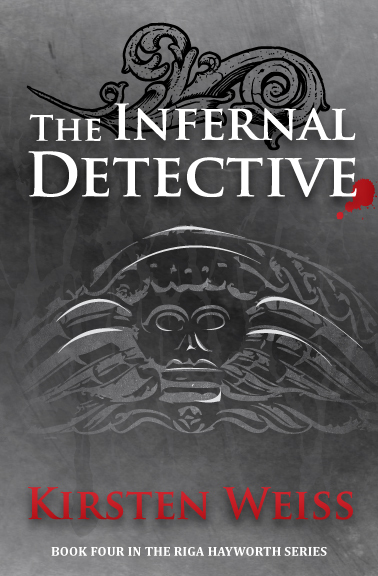 To promote the novel, the author created an alternate reality game – a virtual “novella” in the world of The Infernal Detective. The Infernal Detective video book trailer is the gateway to the game, which leads players through character blogs and a Pinterest board. Hidden in the text are links to stories within stories, and a scavenger hunt for a “junk oracle.” The first fifty players to solve the game and report in to the author will receive an advance electronic copy of The Infernal Detective for Kindle, Nook, or Kobo. This giveaway is completely separate from the scavenger hunt mentioned above. You need not complete it to enter for this awesome prize from the author! and mythology, and how both are woven into our daily lives. experiences and imagination to create a vivid world of magic and mayhem. Ghost Whisperer reruns and drinking good wine.